A “small number” of U.S troops are deployed on the ground in Yemen to help fight the al-Qaida affiliate there that was controlling a major port city, a defense official said May 6. As it rolls out its new Leonardo brand, Italy’s Finmeccanica is in good shape thanks to a new Eurofighter deal. However, a decline in helicopter sales are negatively affecting the company. The global unmanned underwater vehicle market will reach $4 billion by 2020, according to a forecast by market research firm MarketsandMarkets. This reflects a compound annual growth rate of 11.9 percent from $2.29 billion in 2015. The performance and reliability of the power plants in its MQ-1C Gray Eagle unmanned aircraft system continue to be the biggest concerns for the U.S. Army. Harris has supplied its Hornet weapons carriage system to Turkey’s Baykar Makina for integration on the company’s Bayraktar TB2 unmanned aerial vehicle. Physiological episodes — including hypoxia and decompression sickness from loss of cockpit air flow — which are hard to diagnose after the fact, are a confirmed cause in at least 15 naval aviation deaths in the past two decades — and aviators are worried more pilots may die before officials fix the problems. Today’s radio-frequency systems for radar, electronic warfare (EW) and communications use separate, dedicated hardware, software and antennas, making it difficult to fit all three functions on smaller platforms such as unmanned aircraft systems (UAS) because of the space and power required. The U.S. must modernize its nuclear force to remain on-par with near-peer adversaries Russia and China, a top Air Force general said ,May 6. As Wounded Warrior Project battles allegations its former executives violated public trust, they face the real fear that donations will start to dry up. 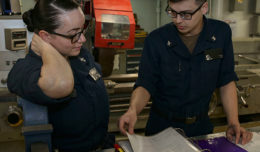 The unemployment rate for the youngest generation of veterans hit another new record low in April, dropping to 4.1 percent, government data show. 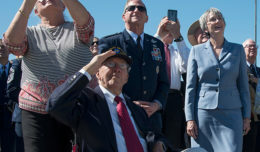 Sen. John McCain May 6 panned the massive veterans omnibus legislation pending in the Senate as a “very bad” plan, casting doubt on the future of the already controversial reform measure. The ongoing imbroglio over the sale of F-16s highlights deeper fissures between Washington and Islamabad.